There are now seven confirmed cases of white-nose syndrome in bats on the island. 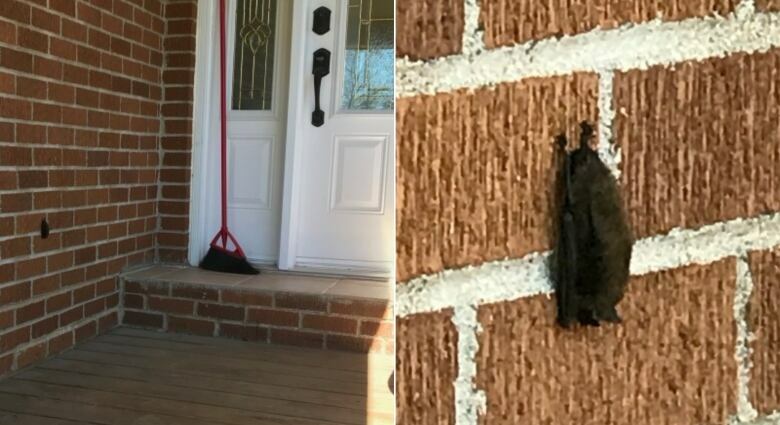 I'd never seen a bat before in the daytime until I came across one hanging off my inlaws' house in Rocky Harbour this past June. When it hadn't moved in four days, I knew something was wrong. Not only was the little brown bat dead, but after Parks Canada staff removed it, news last week confirmed my worst fears: it had tested positive for white-nose syndrome. That confirmed the presence of the deadly disease in the Gros Morne area for the first time. The Rocky Harbour bat brings the number of confirmed cases in Newfoundland and Labrador to seven. 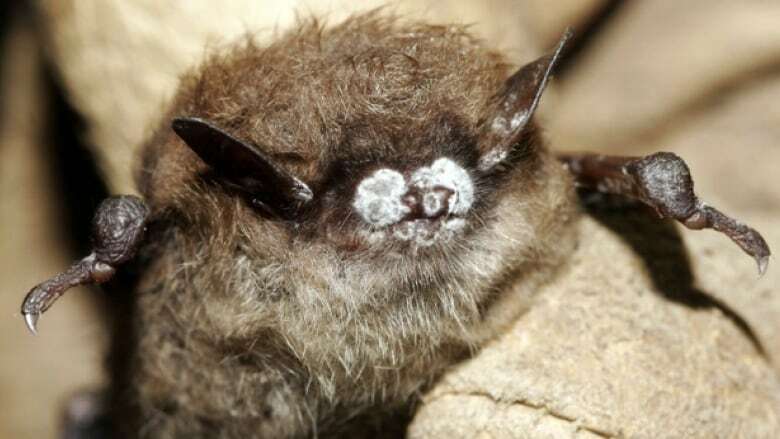 White-nose syndrome is a fungal disease that has decimated little brown bat populations in Eastern Canada. New Brunswick's little brown bat population dropped from 7,000 to 22 in four years. Little brown bats, along with two other bat species, are now listed as endangered due to sudden population decline. 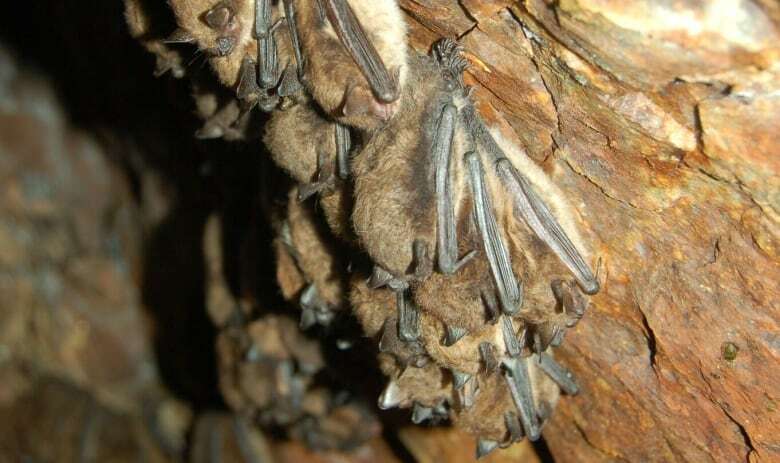 The first confirmed case of white-nose syndrome on the island was in 2017, and diseased bats have been found in the St. Andrews, Stephenville Crossing and Steady Brook areas, according to Shelley Moores, a senior wildlife manager with the province's Department of Fisheries and Land Resources. To make it worse, Moores said the number of affected bats is likely much higher. "More than likely we have a lot more bats that have died on the landscape, the problem is that more than likely their hibernacula are in places where we are not," said Moores. Hibernaculum are places where animals hibernate; for little brown bats, caves are the most common spot. "From what we understand from where the disease has had greater impacts, elsewhere in the northeastern United States and the Maritimes, when white-nose syndrome hits it usually takes about two years before 99 per cent of the [bats in the] hibernacula are gone," said Moores. 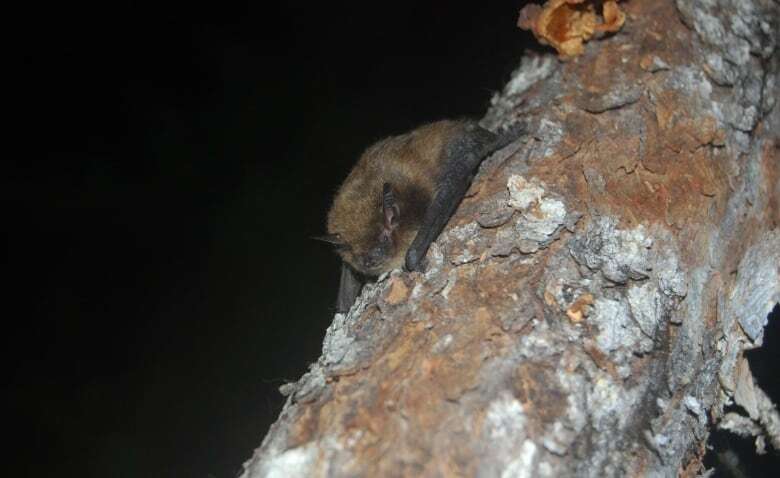 Moores said the provincial government is monitoring known hibernation spots, doing maternal colony counts in places like Pynn's Brook and Salmonier, as well as acoustic monitoring the island's little brown bat population. They also hope to roll out a citizen project within the next year to get help from the public. 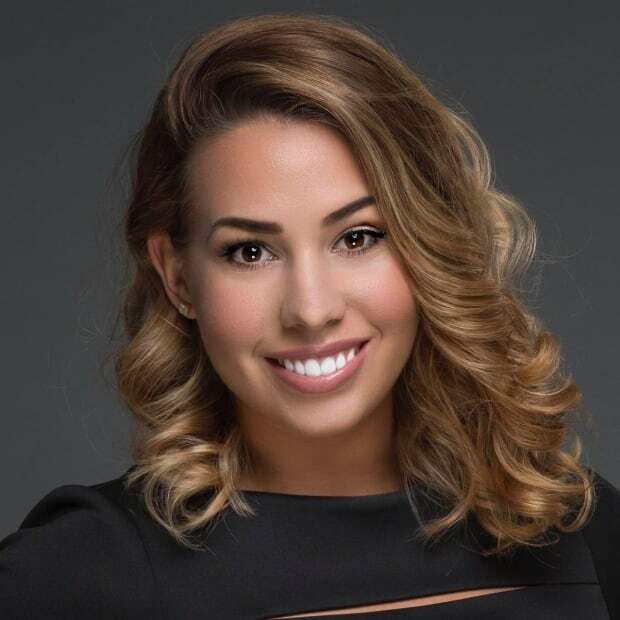 But as the disease is known to move at a rate of 250 kilometres per year, it's likely only a matter of time before it spreads to the rest of the island. ​There is hope, however, that some bats will be able to resist the disease. Prior to the first case of white-nose syndrome on the island of Newfoundland, some scientists had held out hope the ocean would act as a big enough barrier to prevent its spread here. But once it arrived, at least one researcher says he wasn't surprised. "Realistically, even though we had the hope it wouldn't arrive in Newfoundland, we know enough about bats to expect that it could have arrived any moment, and unfortunately that was last year." Segers said while there's not much to be done now to reverse the effects of white-nose syndrome, there are things people can do to help mitigate the risk to the bat population. "Bats tend to live in attics of houses. And a lot of people don't like this, which is fine, but it's important you hire a professional to help remove them at a time of year that is not damaging to them so that pups don't die," he said. "Often these bats in attics are actually females giving birth to pups so they are the reproductive population of the bat." He said that although little brown bats can live up to 30 years in the wild, they typically only give birth to one pup per year. This means that it could take decades, if not centuries, to rebuild the population. 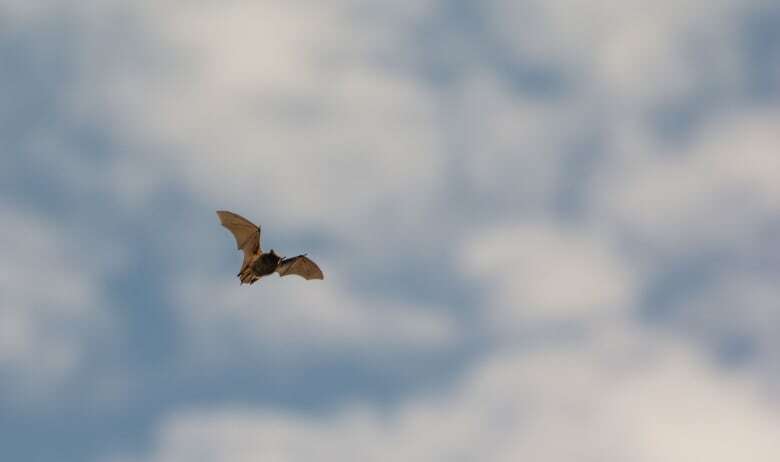 The Canadian Wildlife Health Cooperative wants anyone who sees a bat, whether they appear to be sick, dead or perfectly healthy, to call their toll-free hotline to report a sighting at 1-833-434-BATS (2287). "We want to hear anything that people have to say about bats. If people have bats in a roost, either in an artificial bat house or in a tree or attic, we would like to hear about that because those are often reproductive bats," said Segers.